The maximum amount that you can collect in CPP benefits from the federal government is presently $1,092.50 per month upon retirement. You are eligible to collect CPP benefits at age 65. The benefit amount you receive is not impacted by your income. Essentially, both high and low-income individuals receive benefits based on the contributions they have made during their lifetime. In other words, the more than you contribute to the Canada Pension Plan, the greater benefits you will receive upon retirement in the future. Currently, Canadian workers and employers pay 4.95% of salaries into the CPP, up to a maximum income level of $54,900 a year. When you retire at the age of 65, you are paid a maximum annual pension of $13,110 under the program. Individuals earning more than $54,900 do not contribute to CPP above that level and do not earn any additional pension benefit. The maximum benefit amount that you can receive from the CPP upon retirement based on a salary of $54,900 is increasing from $13,110/year to $17,500/year. The salary covered or subject to CCP contributions have increased from $54,900 to $82,700. As a result, those earning $82,700 in annual salary will see an increase in their CPP benefits from the present amount of $13,100 to $19,900. This change is being phased over time and will be fully implemented by 2025. Contributions to CPP from workers and companies will increase by one percentage point to 5.95% of wages, phased in slowly between 2019 and 2025 to ease the impact. If you earn $54,900 a year, then you will see your premiums increase by about $9 a month starting 2019, and rising to $43 a month when fully phased in. To ease the hit of higher CPP premiums, the Federal government is introducing a tax deduction for contributions you make. 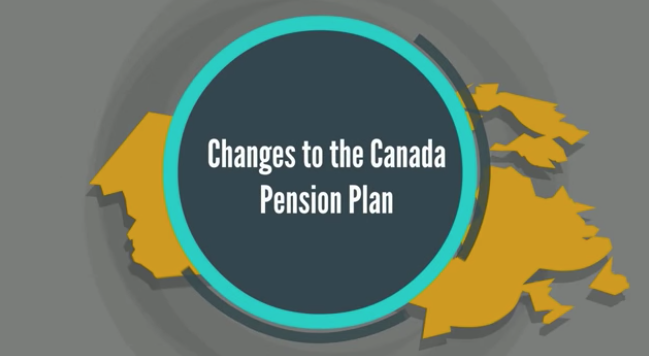 In conclusion, the Canada Pension Plan has a positive and negative effect on Canadians. The changes in the plan will benefit Canadians during their retirement, but at the same time, their taxes will go up in the present.